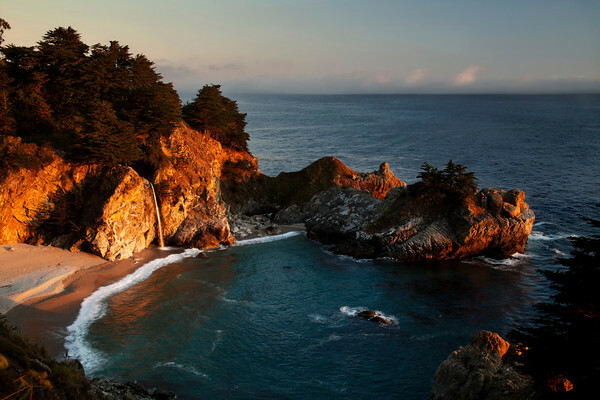 McWay Falls is an 80 foot waterfall located in Julia Pfeiffer Burns State Park that flows year-round. Like Alamere Falls, this waterfall is one of only two in the region that are close enough to the ocean to be referred to as "tide-falls". It is located on McWay Creek. This image was made on August 25,2011 at 7:36 pm as the sun was setting behind the fog bank.